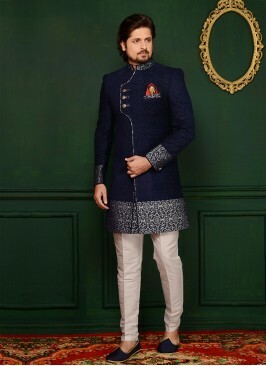 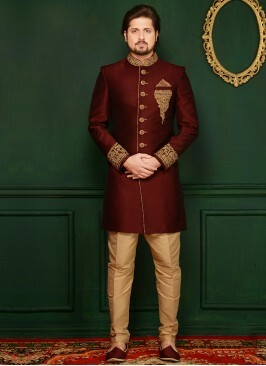 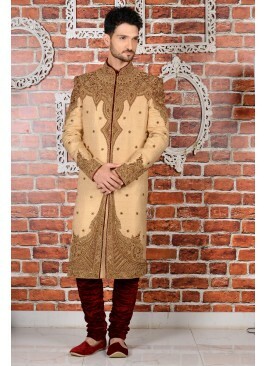 _x000D_ Imaginative jardosi work art banarasi silk indo wetsern sherwani in peach with contrast resham embroidered, jardosi, hand work will create a truly individual look. 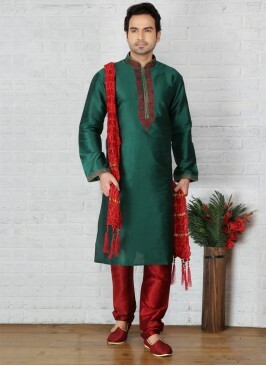 Paired with matching ALIGADHI PANT. 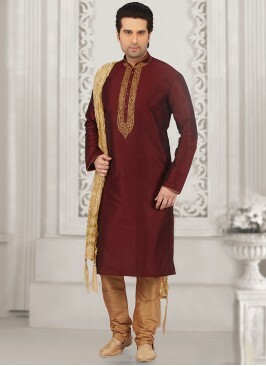 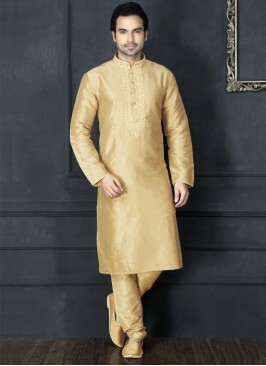 Beige Kurta Pajama For Sa..